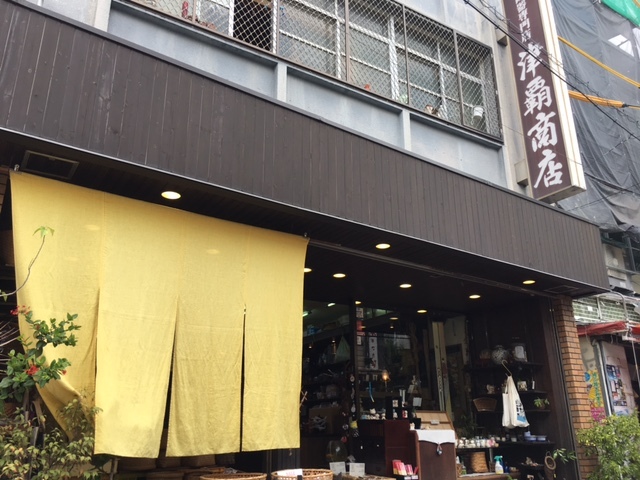 The Tsuha Shoten store’s history traces back to the post-war times. Its founder started business selling articles such as ashtrays made from items recycled from the US military bases. Afterward, he began selling items for the daily life centering on kitchen utensils. With the times, he expanded his merchandise range by traveling to other prefectures to bring in china and pottery. Currently this store is managed by the founder’s granddaughters, who continue the business practice of his grandfather of traveling around the country seeking good quality items to offer at this store. You can find here a wide range of homeware from fine glassware, select traditional pottery from other prefectures to decorative items to be displayed according to the seasonal festivities such the animals of the Chinese horoscope. This year is the year of the pig or boar, so you will find a great variety of this figurine to be displayed at your home or office. Other popular items are the Japanese hand towels or Tenegui made of soft and refreshing textile ideal for the climate of Okinawa because it dries fast. The owner of the store has designed an original poncho using this textile and it has become a very popular item among the neighboring store keepers who wear it during summer time. Furthermore, if you are a cat-lover, this is the place to stop by. There are two beautiful cats that were rescued from the streets and now are the store pets. They welcome and play with the customers and passers-by.